Now let’s have a discussion about what Google Glass has to offer, capabilities and its features and why it was hailed as one of the most expected wearable gadget in 2013. Google Glass is a picture for sore eyes as it is flaunted as the hand free and lightweight solution intended for Smartphone’s. It’s still dependent to the internet access of Smartphone through Bluetooth besides it featured with built-in GPS chip intended for navigational use. It also has a voice command that makes the integration approximately faultless and its Glass as well developed with camera for capturing pictures and recording videos in first-person outlook. 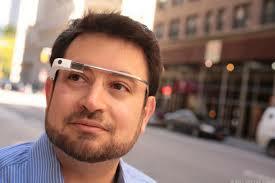 In this article you now probably find some important ideas and potential usage of Google Glass all kinds of situations. 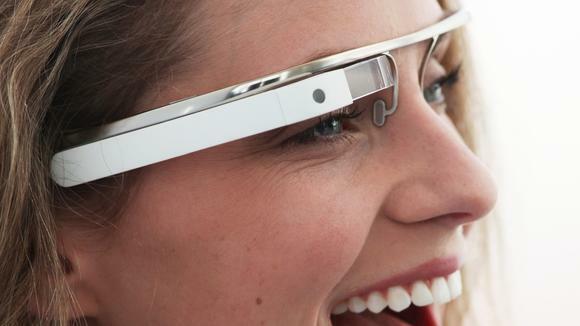 We provided 10 examples of how this Google Glass can further enhance our daily lives. One of the good things about Google Glass is that it able to provides the user an ideas about TV programs and even information and stats about their favorite TV personalities, their shows, and synopsis and fashion facts. Google Glass as well work even in the sports world and able to provide latest information in your favorite sports like news, players, teams, standings and latest sports results at the time you switch on your television channels or when you are present in any live sporting event. Indeed YouTube almost taught us everything; it contains a lot of videos, educational and tutorial that able to give us useful educational information even we are away from the classroom. In the same manner Google Glass can be beneficial as well. Glass allows the user to record tutorials in for example the sort spaces mechanics discover themselves in when repairing a machinery part or car engine, or in a restricted field of medicine where the surgeon and its staff only are allowed. Google Glass has built-in GPS chip that allows user to easily track their movement. Along with the health related apps or through the external health tracking monitor, most probably Google Glass able to display the speed, track your pace, running duration and heart rate that is beneficial when you’re running at the marathon. As far as enhancement of our daily lives is concern it would be cool if Google Glass provides you an information about restaurants as you walk past, chefs recommendation of the day, menus, reviews and prices. 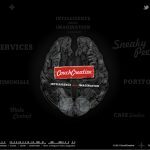 In order of endorsements going on at each of their store outlet would mollify the shopaholic in you and can even be classified to provide to the particular needs of each Google Glass user. The Google Glass Hangout could be a fine tool and act as Video Conferencing Alternative however you still need to have set of laptop to use. For the business were the meetings is usual and find it more expensive to rent for a spacious state of the art conference room then Google Glass Hangout would be the most practical solution. Google Glass is equipped with personal assistant applications like Siri of iOS or any alternative that present in Android allows the user to handle their working life even better because of voice command user just say to alarms, events and schedule reminders. For a person who can’t afford to keep away of his sight to his family while working away from home this Google Glass could be beneficial for them. Rather than worrying about missing some important phone calls and emails by wearing Google Glass allows you receive notifications while busy doing household chores since both of their hands are free. Google Glass allows the user to record video everything happens around and it can used to press on documentaries even further. In this case viewers able to document even the actual drug raid of the police, any emergency incidents and who are the first to respond during disaster. Most probably this is the most necessary thing that everyone must expect bout Google Glass. We’re considering about the support of the worlds popular mobile OS like Windows, Android, iOS, BlackBerry and to the future OS such as Tizen, Sailfish, Ubuntu and Firefox. For DIY enthusiasts, keep tracking on parts and screws are commonly annoyance during assembly procedure; however this is rectifiable with some deliberate video logging. Because Google Glass has a built-in camera, the maker gets a first-person recording of the things he do and keep tracking of the parts and the process are just a matter of playbacks. Mackenzie Sulivan is a professional blogger, freelance writer and guest poster. She writes about seo and technology articles for many websites through online exposures. She is a permanent contributor for this website: TipsOtricks.